What do you buy the person who’s got everything this Christmas? The countdown to Christmas has begun!! Let’s be honest, every year it gets harder and harder to pick the perfect Christmas present doesn’t it! There’s only so many Christmas jumpers, onesies, socks, candles and CD’s you can buy someone without being predictable – so why not do something different this year and buy someone a CancerCare Lottery Membership? 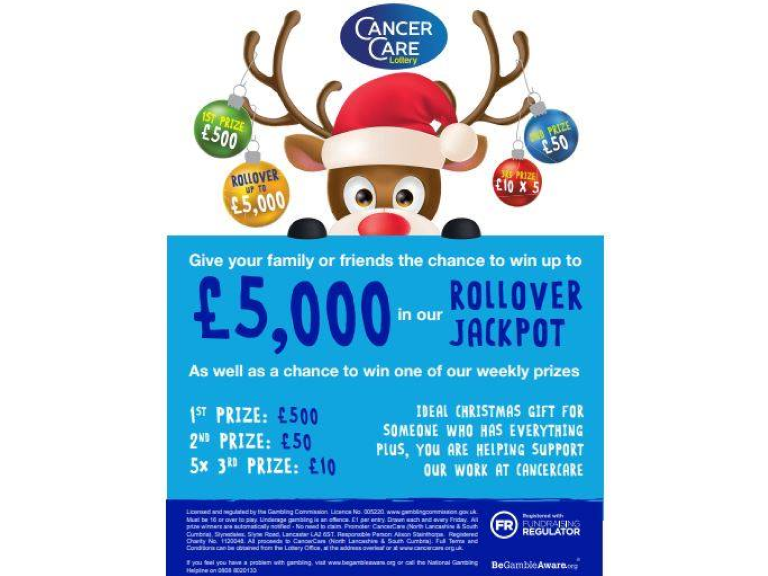 Buy signing a friend or member of the family up to CancerCare’s lottery, you’re not only giving them the ideal Christmas gift, and a chance to win up to £5,000 in their rollover jackpot, you’ll also be helping support CancerCare to continue the fantastic work they do too. Now that would be a Christmas present to remember wouldn’t it! 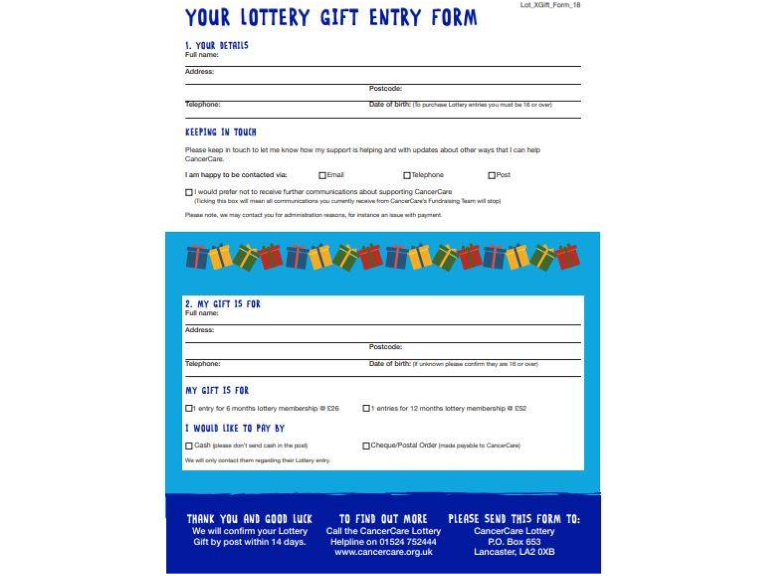 You can purchase two different lotto memberships; a 6 month membership for £26, or the full 12 months for £52.